What’s so special about being part of the rcp family? We are an independent, globally active production house with headquarters in the heart of the beautiful city of Munich, Germany. rcp is also Europe’s biggest developer family with extensive experience, outstanding collaboration opportunities and a wide range of contacts. We know how to make relations between developers, publishers, distributors and investors successful. Our family has invented and developed the global hits Angry Birds Epic and Angry Birds Evolution for Rovio and released more than 110 games from mobile AAA to core PC and console titles to players across 6 continents. We’re here to take care of business development, production, sales, asset creation for marketing, communications and research. So, you don’t have to worry about it and can focus on developing your game. We’re also proud to guide young, talented teams and startups during company foundation. We believe in creativity, talent and teamwork, and thanks to open communication and flat hierarchies we promote a friendly work climate. Fun and passion in terms of the work we do at rcp are vital elements of our work philosophy. And with you as part of our family we want to make our work within the coolest industry in the world even better. Developing your own project or IP? We’re looking for talented teams and innovative games to invest in. Every hour, every day we will work on making better games. Together. Through our global network we’ll also help you finding publishers and investors to bring your idea to life. Just let us know, what you need to make a great game. Creating your game is not a walk in the park. Our team of veterans and pioneers of the gaming industry is here to help. We’ve decades of expertise in production, product management, communications, user acquisition, monetization, human resources, financial and legal services. We won’t just give you short-sighted hints, we provide strategic advice and consultation. It’s our main mission to ensure your team’s competitiveness as well as your measurable and sustainable success. That’s why we’ll support your operations as well. Let’s build your game’s live team together, build the community, do demos at events and tradeshows, connect with influencers and press and create mind-blowing trailers and assets. If you and your team wans to join our network, do NOT hesitate to contact us. 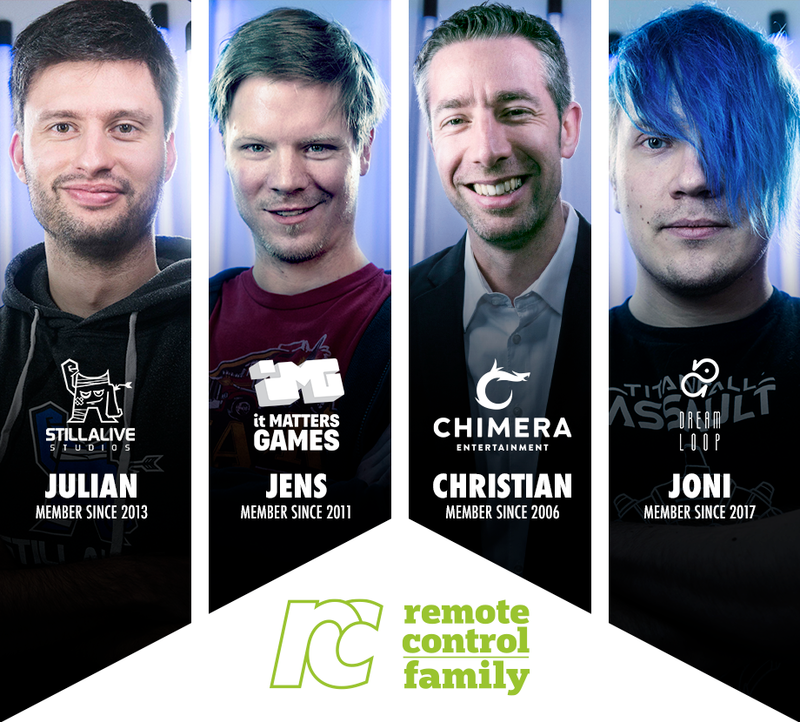 These are just a few of the happy studio heads who are part of the rcp family! We think you'll be happy in our family, too! We'll put your case on the CEOs table, we'll recommend you, we'll even fight for you. But there is one thing we need you to do in the first place: get in touch! If you've got a great team or a fantastic game or even both we strongly encourage you to send us a quick note via email.